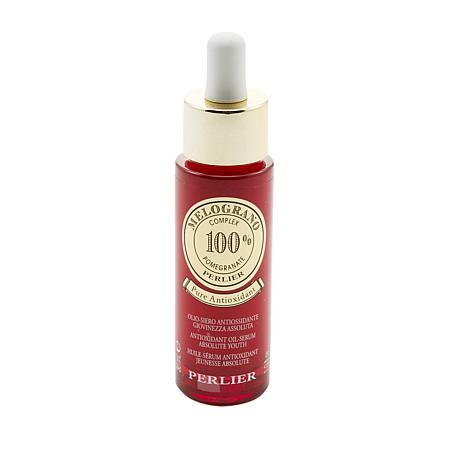 Perlier's moisturizing youth elixir for radiant-looking skin hydrates and refreshes as it improves the look of firmness and elasticity. Apply morning and evening by massaging for a few moments on face and neck. Can be used alone or applied before your usual face cream (sold separately). MALTODEXTRIN, SODIUM POLYACRYLATE, XYLITOL, CITRUS AURANTIUM DULCIS PEEL OIL (CITRUS AURANTIUM DULCIS (ORANGE) PEEL OIL), CYCLOPENTASILOXANE, PHYTOSTEROLS, GLUCOSE, PHENOXYETHANOL, ETHYLHEXYLGLYCERIN, TRIDECETH-6, SILICA, SODIUM ASCORBYL PHOSPHATE, TOCOPHEROL, PEG/PPG-18/18 DIMETHICONE, LEUCONOSTOC/RADISH ROOT FERMENT FILTRATE, CITRIC ACID, MICA, CI 77491 (IRON OXIDE). I have to say I have tried everything. I am a 50 yr old woman & would do anything to bring back amazing skin. 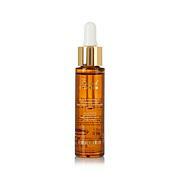 This elixer immediately gave me youthful dewy vibrant skin. I am truly amazed at how fast the antioxidants work. Amazing product! I don't think my skin could Ever live without it. 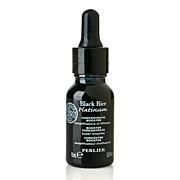 THE BEST FACE ELIXIR I HAVE TRIED IN in the past 20 yrs One very Happy Lady. I didn't realize how much I loved this product until the first one ran out. I apply this daily under my makeup. 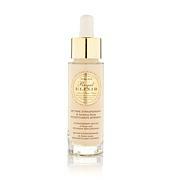 It just seems to work to keep my skin looking healthy and glowing, and with antioxidant protection for day. I'm 46. Really gives you complexion a lift. Seems to have slightly finished the appearance of age spots and freckles. Very easily absorbed. Fresh slightly fruity pleasant scent. Will be buying more. Is it my imagination or does this magic potion turn back the clock?Ive only been using it a few days but I look so much younger.Thanks Skip and Amanda!